So I saw this Entertainment Weekly article about 2o Classic Opening Lines in Books. For the curious, it stretches 20 pages for 20 lines, includes Harry Potter and does not include Orwell, Camus or Kafka. Of course there’s no Shakespeare, since it’s always up in the air whether someone counts his work among “books”. So I thought we’d do our own. What were Shakespeare’s best opening lines? 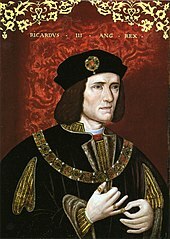 I suppose Richard III’s “Now is the winter of our discontent made glorious summer by this son of York” might be the most infamous, given how frequently it is misquoted. I like Romeo and Juliet’s “Two households, both alike in dignity, In fair Verona, where we lay our scene, From ancient grudge break to new mutiny, Where civil blood makes civil hands unclean.” Not just because it’s one of the greatest story introductions ever, but because it contains an important clue that most modern adapters seem to forget : both alike in dignity. Everybody always wants to tell the story along racial or economic lines, putting a gigantic obstacle between the two young lovers and hitting the audience over the head with “Here’s why they can’t be together.” I don’t think by “ancient grudge” Shakespeare meant reparations for slavery. Who else has ideas? Next ›When I saw you I fell in love. And you smiled because you knew. My senior year high school English teacher spent an entire class period talking about the opening line of Hamlet. A few year's later, when Joe Papp (founder of the Public Theater in NYC) asked my first-year MFA class what the first line of Hamlet was, I was the only one to know "Who's there?" I was going to bring up Hamlet, but I'm not sure I count it among the best. It does a nice job of setting up the whole "Everything's out of joint" theme of the play (not everybody realizes that the wrong guy says who's there) but I think that you need to know more about Hamlet in the first place to fully understand that. "O for a muse of fire" has to be right up there, for me – such a fittingly explosive start to the play. But I am also partial to "In sooth, I know not why I am so sad". Doesn't set the tone for the rest of the play or anything, but I've always felt it does a brilliant job of getting you really interested really quickly. I have to say, Macbeth's is great: "When shall we three meet again?" It's perfectly eerie, and gives such a sense of things unknown (they're planning to meet again, but– what have they just finished doing?). I definitely find the most joy in the Twelfth Night opening as well. Though I saw a Grad Student production of Pericles where Gower was a sort of side show announcer telling the story of Pericles to be preformed before our eyes and while the lines weren't memorable, the introduction was. And in Slings and Arrows, Hamlet is described as the longest knock knock joke, because of it's opening lines. Man, I love that show. Watching Slings and Arrows as we speak, actually, though I'm into the Macbeth season :). Three votes for Twelfth Night, huh? I'm intrigued. I like that line, I appreciate that it is infinitely quotable. But … somebody explain to me what it means? Do all those people who are quoting it really understand that words like sicken and die are coming on in the next beats? Is this your first time watching S&A? A friend and I are re-watching it, it's still excellent. My understanding is that Orsino's saying, "I'm SO in love that I wish I weren't in love anymore." Which is a kind of a nice sentiment, as far as unrequited love goes, but the word choice is pretty morose (and reminds me of Viola's "sister"). I have always thought that the line sets the tone for the play. Here is a man who thinks he is in love, but really he suffers from an unrequited infatuation. He likes the idea of being in love and he likes the idea of languishing in love. He Produces all the right poetry about how in love he is and then immediately after this line, he gets bored with it and moves on. Allowing him to drag out his love rather than actually quenching it. For 4 lines later he says "Enough; no more: / 'Tis not so sweet now as it was before." For me it is this characterization that I have pinned to these lines that allows me to later see him exchange one woman for the other. On TN: Orsino's comparing music to food. Music nurishes love as food does us. However, he goes on to say that he wants "a surfeit of it" — an overabundance of music so that, just as if he ate too much of any good thing, his appetite for it will sicken and die. He wants to get love out of his system by losing his taste for it. My favourite opening line has always been the Prologue to Henry the Eighth: "I come no more to make you laugh." It's just so simple, descriptive and intriguing. Why won't we laugh this time? Hmmmmm…. In sooth I know not why I am so sad. M of V.
I love how Sh always starts smack in the middle of an ongoing conversation of a particular character. Three votes for Twelfth Night, two for Merchant of Venice, one each for a bunch of others, by my count. Interesting! "I'm in love and I'm happy about it." I think that would be a very boring idea to start a play with. But of course Shakespeare turns it around. He says, "I am in love and I hate it. I want to my love to die." That is an great way to start a play! In thunder, lightening, or in rain? Sorry, had to be done. You don't get that kind of Shakespeare->Monty Python crossover every day, ya know. The vent of hearing, when loud Rumor speakes? Duane, I like your taste: I am also fond of the opening lines of R&J. As for Twelfth Night, Orsino is expressing lovesickness. He is in love, but SICK of it. Thus, if music is the food of love, he would like more music, to feed his love, so he can become TOO FULL, and lose his appetite, i.e., no longer be in love, and therefore, no longer suffer lovesickness. The bit about the "strain" having a "dying fall" is just a tangent from the metaphor. I agree that his loss of interest in the music is a sign of his changeability, but also, in general, of the changeability of love itself. I get Orsino's lovesickness, Carl. What I'm wondering is whether all those people quoting the "music be the food of love" quote get it. Next time you see it, try responding with "You know Orsino doesn't really want to be in love when he says that, right? It's causing him pain and he's trying to make it stop." See what kind of reaction you get. Oh, but of course, you are right, Duane. Shakespeare is constantly quoted out of context, often his meaning taken to be the opposite of what it is. Or, at the least, not nearly as subtle as it is.